Logic Orozyme Chews for small dogs are an extremely palatable chew to support dental health. 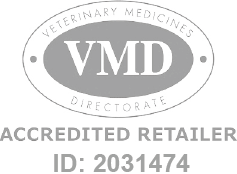 Logic Orozyme Small Dog Chews x 24 is a Prescription Only Veterinary Medicine and by law requires a prescription from your vet. Logic Orozyme Chews for dogs are rawhide and collagen based, low in calories and extremely palatable. The collagen naturally enhances the mechanical action of chewing on the teeth and gums and assists in the removal of plaque. addition, Logic Orozyme Chews also contain an Enzyme Complex which enhances the mouths natural defence system and attacks bacteria in the mouth. Logic Orozyme Chews can be fed once daily from 6 months of age, once the dog has its permanent teeth. Small Dog Chews = <10kg.